Egglettes Review - Read This Honest Review Before Buying! Best Home Gym Equipment Reviews Egglettes Review - Read This Honest Review Before Buying! Egglettes Review – Read This Honest Review Before Buying! They say that 80% of a healthy lifestyle happens in the kitchen – and that is true! Without the right food in your system, you ultimately put all your effort in the gym to waste. So a major investment you should consider making aside from anything you might need for fitness should include a few nifty kitchen tools. Personally, I thought something like this could be useful. 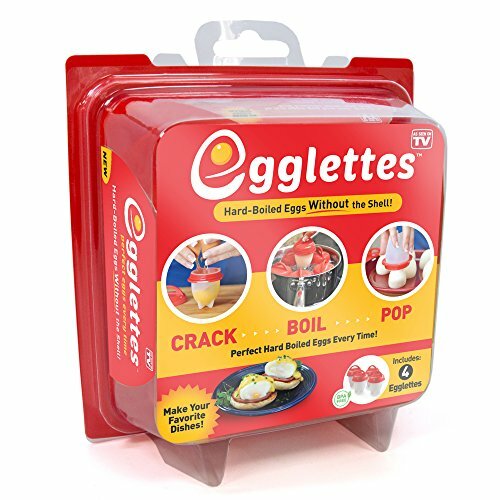 If you enjoy an occasional salad, or if hard boil eggs are a major component of your day to day meals (since they are one of the best foods to eat to gain muscle), then perhaps Egglettes would make a suitable purchase. The only question is – are they worth it? I dove right into to it to find out more about these promising little pods. I went through countless verified user reviews, read up on the company behind them, and basically dug up everything I could find on Egglettes. And unfortunately, you’d be better off hard boiling your eggs the old fashioned way. What made me say that? Discover why I find Egglettes to be a dud and discover alternatives you might enjoy better with this complete guide. This is because when you hard boil an egg the old fashioned way, there’s no way you can add ingredients to them until they’re cooked and peeled. 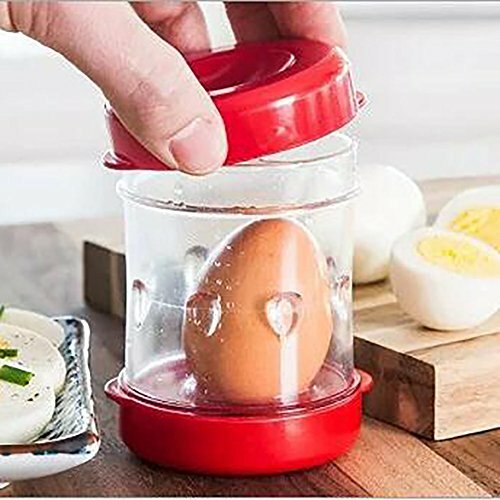 With the Egglettes, you can toss in a variety of spices, vegetables, and even meats into the pod with the egg and thus cook up hard boiled eggs in more ways than one. While all of that might make Egglettes seem like a promising kitchen tool, I have to point out that there are a number of design flaws that make it difficult to achieve those picture perfect meals that the company uses on their Egglette advertisements. Egglettes are an As Seen On TV product, which as we all know, kind of makes their reliability and effectiveness slightly questionable. As Seen On TV products tend to come with a lot of promises which they’re not always able to fulfil. With the Egglettes, it seems that reputation continues to be true. Firstly, the company promises that once the eggs are cooked, all you need to do is pop them out of the pods. Simply “popping them out” isn’t really as easy as it seems as lots of users claim that it’s necessary to use some sort of oil or cooking spray on the inside surface in order to prevent the eggs from sticking. Another concern is that even when they’re oiled up, the vacuum created by the Egglette can prevent the egg from popping out anyway. So, to effectively get it out with as little damage to the egg as possible, it’s recommended that users take a spoon and scoop it out of the pod. One thing I can’t help but think of is this: is boiling in plastic safe? The consensus is yes, but there is some evidence that the chemicals in the plastic can bother those with sensitive systems. Keeping them upright while boiling is another issue that many buyers won’t anticipate at the start. Of course, you would expect that the pods should stand up straight while boiling, but when you reach that rolling boil, expect these little Egglettes to start turning over. The problem with this is that the caps aren’t necessarily tight enough to keep the eggs from leaking. So once they do turn over in the water, runny egg whites can easily seep into your boiling water and cause a giant mess. Not to mention, destroy your hard-boiled egg outcomes all together. With that, it’s easy to see that the Egglette could require significantly more time, resources, and steps compared to your traditional methods for hard boiling an egg. I wouldn’t say that Egglettes are complete junk. For one, the recipes you can make with them can actually be pretty impressive, especially if you manage to get them to work right. I particularly appreciate the fact that the pods make it possible for you to upgrade an egg with a variety of ingredients before they’re cooked – a benefit you won’t achieve if you plan to hard boil the traditional way. Another thing I like about Egglettes is that they’re dishwasher safe. Cleaning them and maintaining them is incredibly easy, so there’s really nothing to worry about if we’re talking post-meal clean-up. If you don’t like peeling hard boiled eggs, then that’s another thing Egglettes have going for them. They come out of the pods completely shell-free. So you don’t need to slouch over a running tap for half an hour just trying to get the shells off of your hard boiled eggs. Finally, they’re cheap. At less than ten bucks for a package of 4 Egglettes, I would say you’re not really tossing out a fortune if you find they’re not up to your standards. Besides, there were a bunch of clever buyers who found them to be better for other purposes. One buyer said he decided to use them to make homemade popsicles for his kids instead, which I can definitely see working given the shape and size of the little pods. 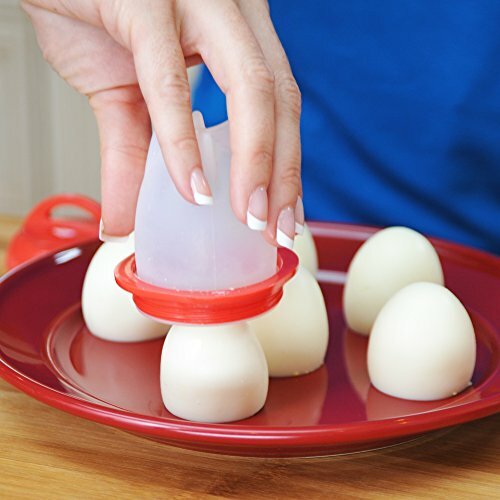 No more tedious hard-boiled egg peeling. Versatile, allowing you to try a variety of recipes with simple ingredients. Pods turn over in boiling water causing egg whites to leak. Interior surface isn’t non-stick, so you still need some sort of oil or cooking spray. Even when they’re oiled, it’s still necessary to run a spoon around the edges to get them out of pods. Require a lot more steps and time compared to traditional methods for hard boiling an egg. The aesthetic of the cooked eggs might not be as presentable, so they can be a challenge to serve to guests at parties. Don’t get me wrong – I wanted to like Egglettes. But while the concept was great, the product’s execution just kind of leaves a lot to be desired. With that, I really can’t bring myself to recommend Egglettes to anyone. If you still want to give them a shot though, they’re really cheap. So you can rest assured that you’re not really going to feel too much buyer’s remorse once you discover they don’t meet expectations. There are a few other similar products on the market that promise the same benefits and results. Here are just a few that we recommend. 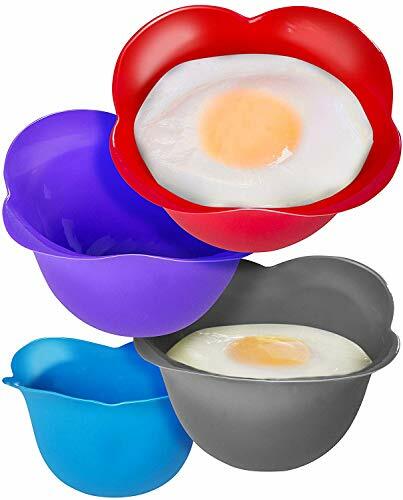 These Silicone egg poaching cups, for example, are another As Seen On TV-type product that lets you hard boil eggs without the shell. Before you dive in to make that purchase though, I will tell you that there are very few differences between these cups and Egglettes. 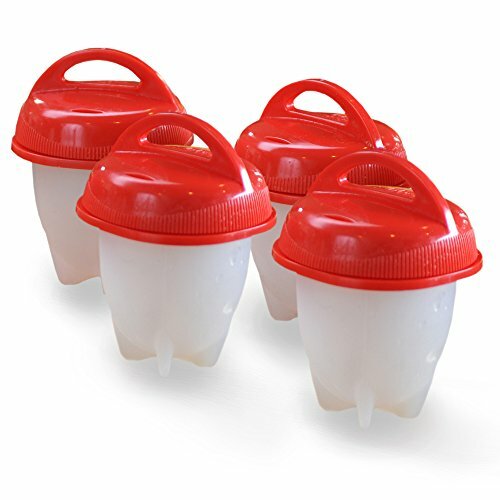 The biggest difference is that there is no lid with these silicone cups, so the chances of achieving the results you want with them is yet again, questionable at best. If the reason that you wanted to purchase Egglettes was to have a fast and easy way to cook eggs because you eat them often, then I would definitely recommend an egg cooker. 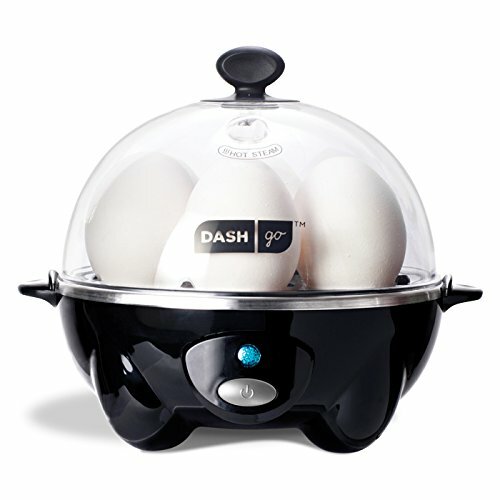 The Dash Rapid Egg Cooker can hold 6 eggs. You can hard boil them, soft boil them, poach them, scramble them, and even make mini omelettes. It can do all the same things as the Egglettes, but you don’t need a stove. This loud, but effective machine comes with everything you need to make all types of eggs. It’s perfect for life in a small apartment or dorm setting. And for just a tiny bit more money than the Egglettes, I think it’s a better use of your money. Personally, I think it would be better to invest in other tools. 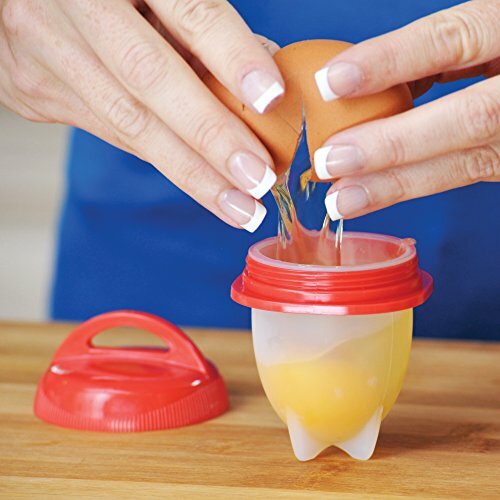 For instance, if you don’t like the process of peeling, the Negg Boiled Egg Peeler can be a suitable alternative. Keep in mind though that while the Negg can work as advertised, certain factors can affect the outcomes. These include the freshness of the egg, the intensity of shaking, and the amount of time the egg was left to boil. 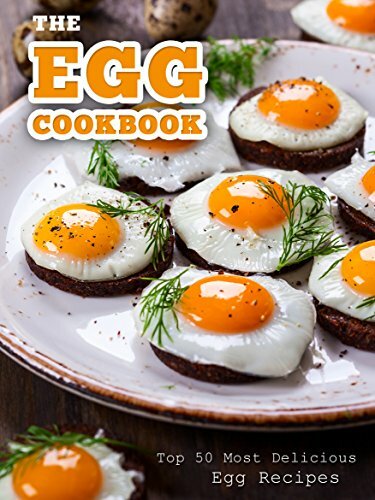 If you were hoping to buy the Egglettes for the sake of the recipes you can achieve with them, I would suggest that you look for a cookbook instead. 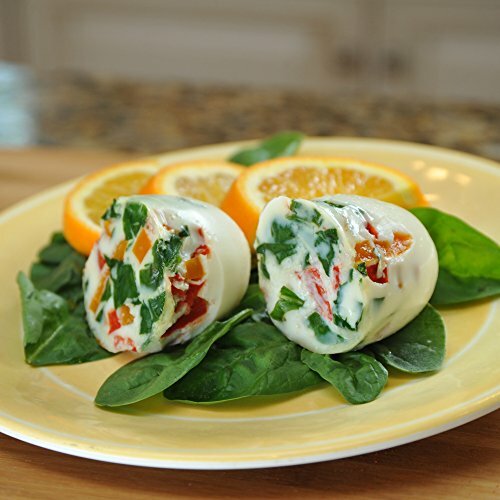 For egg-specific recipes, I can suggest The Egg Cookbook: Top 50 Most Delicious Egg Recipes. 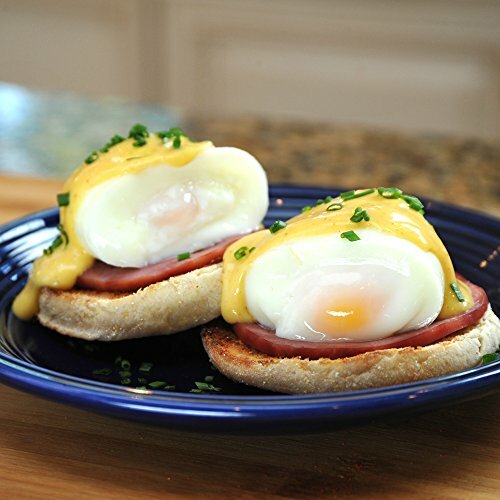 The quick, easy, and simple procedures are perfect for people who want to step up their egg cooking game without spending too much time or effort in the kitchen. I agree with most everything you’ve said. I was rather pleased with the overall result HOWEVER I have found that the eggs had a distinctly chemical taste & I realized after some sluthing that they are tainted with the dishwashing tablets that I use. I shall soak them in vinegar & bi carb to try to rid them of the taste. How to peel an egg quickly: Hard boil the egg. Tip boiling water off, put eggs in very cold water. Crack shells all over. Leave in cold water for several minutes. The very cold water shrinks the egg away from the shell, the water gets between the membrane and the egg because you’ve cracked it all over, and you get shells that slide straight off, and smooth, perfect eggs for serving and eating! I just used mine for the first time to make my great grandson soft boiled eggs . What a huge disappointment! I could not keep the eggs from tipping over and spill the whites into the water. Tried these twice. The first time we had egg toughies! Results are not attractive. 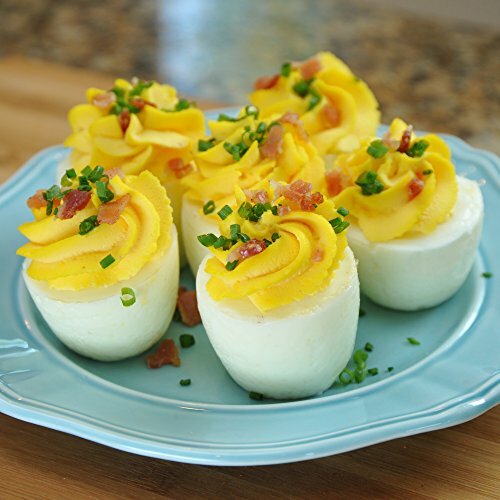 You’d never serve deviled eggs out of egglette boiled eggs. Second time I dropped the properly prepared and properly filled egglettes into my pan of slowly boiling water. By the time I looked back to the stove one egglette had tipped over. I used a spoon to tip it right side up and two more egglettes rolled over. While I attempted to turn the tippers over the remaining egglettes tipped over. Forget about the caps not fitting well. The eggs leak out of the air holes at the top. Big mess! These don’t work! Cook your eggs the old fashioned way. I don’t know why I fell for this. It’s easier to peel eggs than clean up the mess. Need to use a toothpick to clean the grooves of the cap. Even with oil the silicone cups need to be rubbed clean with a cloth or sponge and then you have to deal with a gross cloth or sponge. I accidentally used these without oiling them and now I can’t get the egg off of the holders! Anyone have this issue with a solution? I’m stumped and may have to trash them. They worked perfectly though!!! I’m sorry that you ladies have encountered so many issues. I can only speak for myself and I’ve used them twice thus far. I did have to use a little cooking spray, but I have never had any issues with the eggs not coming out. In fact, it was a sinch. Easy and effortless, I’m going to use them again today with some spinach and a few other vegetables. I love mine and would buy another set in a heartbeat. Great invention, hence the reason I don’t cook hard boiled eggs. Hate peeling them. i got my eggletts & they worked fine. what happens if i boil scrammbled eggs? I made 2 hard boiled & 2 omlette per the instructions. The results were ok but more time consuming (oiling each egglette), probably add a few calories thanks to the oil, and certainly not as good as the results I get the old fashioned way. If you’re having a difficult time peeling eggs read the comment submitted by Louise in September. That works every time. Wish I had my money back. Followed directions and had to dig eggs out of container . False advertising.